The Milwaukee County Board voted Thursday to look into bringing inmate health services back under the county’s purview, meaning a private contractor would no longer handle the work. The board voted unanimously to pass the resolution, and many on the board don’t want to consider another private contractor, especially since the current provider has failed in ways both costly and deadly. Armor Correctional Health Services has been providing medical care to inmates and the Milwaukee County Jail and the House of Corrections since 2013. Armor is currently facing criminal charges for abuse of an inmate in connection with the death of Terrill Thomas, the Milwaukee Journal Sentinel reported, who died of dehydration after going a week in solitary confinement without water. Armor also faces charges for falsifying records. As far back as 2013, the county board initially opposed contracting with Armor. 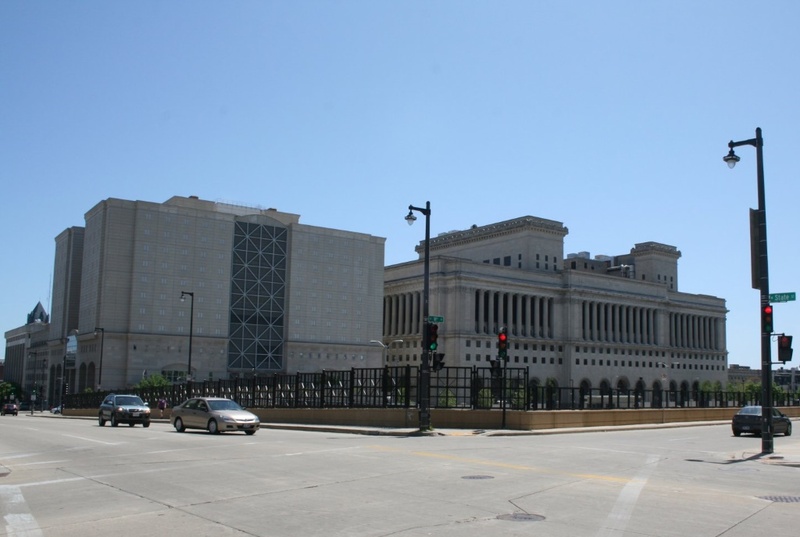 But a Circuit Court Judge ruled that Armor had to be contracted with in order to make up for staffing failures and record keeping that were degrading the quality of care for inmates in the Milwaukee County Jail and House of Correction. But the request for proposal process keeps proposals confidential. So the county board did not know who the potential contractor would be until Armor had been selected by then-Sheriff David Clarke. They then had to vote on it, with no other option. They voted no, but the court ordered them to contract with Armor. This is why the County Board wants to bring inmate health services back in-house at the county: both because of the poor track record of Armor and their inability to really provide input on a future provider. Armor’s original contract was to expire on January 1, 2019. So in order to maintain medical service until then, Armor’s contract was extended until the end of March 2019. Meanwhile there is a new RFP process for selecting a contractor that will be over seen by a panel overseen by administration of County Executive Chris Abele, but which also includes a representative of the Sheriff’s office. Whomever the panel picks to offer an intent to contract with, the County Board will have no other option but to vote them in. Because there will be no other option. Unless they have a plan in place to bring inmate health services back in-house. Lipscomb has been clear that he did not trust Armor in 2013, and that he doesn’t trust any private service provider going forward. “This is healthcare for thousands of people in your custody. You must get that right,” he said. Erin Schaffer, RFP and contracts manager with administrative services, said at committee that her office has been writing the current RFP since January, with help from experts supplied by the National Commission on Correctional Health Care (NCCHC) – the entity that accredits correctional healthcare services. With this help and further research, they identified and fixed weaknesses in the contract that should solve some of the issues with Armor. Schaffer further said that experts at the NCCHC did not think the short timeline between now and April 1 was long enough to analyze the feasibility of bringing inmate health services back under county control without potentially hurting patient care in the process. Lipscomb, however, said all the work done in this latest RFP process can be used as a road map for analyzing potential in-house services. So as a result of Thursday’s vote, the House of Corrections, the Office of the Sheriff, the Office of Corporation Counsel, the Office of the Comptroller, and the Department of Administrative Services will provide a report to the county board on how inmate health services can be transferred back under county control in January. Supervisor James Schmitt, chairman of the finance and audit committee, threw in behind Lipscomb’s proposal, and at the board meeting Thursday he advocated for its passage, saying: “If we can do something in house, we certainly should look at it.” He added that the standards needed to evaluate the proposal should be clear because of the Armor’s demonstrated failures. Supervisor Lipscomb and his colleagues are on the right track. I was New York City’s first Director of Prison Health Services, a major reform at the time. In a system with 100,000 admissions per year, there were a number of significant lessons learned, and, unfortunately, unlearned or forgotten over the years. The first is that it is very difficult – if not impossible – for public/for profit companies to meet the minimum standards for acceptable health care in a jail or prison environment. Driven by the single measure of shareholder value/executive compensation, they will inevitably cut corners and make wrong choices that compromise the health needs of those in custody. This problem increases exponentially when the provider is headquartered far away. Second, the eternal challenge of prison/jail health care is finding clinical, as well as management, talent to work in this environment. Often, the jail or prison becomes an employer of last resort for the health professions or a destination for those with a social or moral commitment. The latter group’s numbers are too small and, in general, their tenures are too short. In my experience, the best solution – maybe the only long-term one – to this challenge is an affiliation agreement with a teaching medical institution. This can be a tough sell requiring persistence and a clear strategic vision, but it may be the only way to assure quality, and it is a long-term arrangement that allows capable staff to rotate through in ways that prevent the almost inevitable cyncism that pervades these environments. Third, while there is a general pattern of including mental/behavioral health in these packages, they are generally under-resourced; and what is often left out is dentistry, which is frequently a dire need, especially for younger people who may have never seen a dentist. In this sense, it is important to see jail/prison health as public health. Fourth, in accounting for the costs of prison/jail health care, it is essential to factor in the unaccounted costs that result from not providing adequate care for people who will inevitably return to the community. Finally, what should never be neglected is the moral dimension. Whatever people are accused of or have done, once incarcerated they lose all of their choices regarding their health. Empathy is a useful tool in grasping this reality. Put yourself in a 5 x 8 cell and imagine getting sick or deteriorating mentally, or even having a bad toothache. And there is nobody to turn to who cares or responds. Dostoevsky was right about our prisons being a measure of our level of civilization.